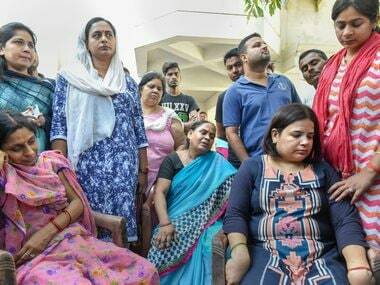 The country has been shocked and outraged at the cold-blooded murder of Apple executive Vivek Tiwari in Lucknow in the wee hours of Saturday. Two police constables — Prashant Chaudhary who pulled the trigger and his beat partner Sandeep Kumar — were dismissed from service by Saturday evening in an apparent show of the Uttar Pradesh government's zero-tolerance for thuggery in uniform. Justifying the dismissals, state police chief OP Singh termed the constables' action a "criminal act, a clear case of murder" and Chief Minister Yogi Adityanath said that "this was not an encounter". They might as well have spared us this tasteless charade. This apparent outrage is at complete odds with the "thok denge" (we'll bump them off) philosophy of the administration. It is a war cry that has empowered and emboldened thousands of Prashant Chaudharys in all corners of Uttar Pradesh to become trigger-happy hunters in uniform. The swift action against the two constables, deserving though it is, is in reality a set-up to hang individuals for aberrations and absolve the system that thrives on excesses. Such weapons (which are rarely available in the police station’s armoury) are issued to the most favoured constables of the station head. These favoured men then prowl the area and throw their weight around to extort money from the vulnerable and indulge in wanton criminality in the garb of khaki. Interestingly, though none of these constables are trained to handle the weapon, they prefer to carry pistols instead of vintage 303 rifles because it is a status symbol. With a pistol in their belts and Yogi’s “thok denge” dinned into their ears, they genuinely believe that they have license to kill. Ever since the Uttar Pradesh police has launched the latest encounter-spree, they have unleashed thousands of Prashant Chaudharys on citizens of the state. Rest assured Vivek Tiwari is not an aberration in Yogi’s Uttar Pradesh, just about anybody can well end up in the same way. The moment the state police had launched its “thok denge” drive, I had a premonition for the worst. When the police claimed to have gunned down 18 criminals in encounters and chest-thumping itself in glory, I had cautioned that it would be nothing less than unleashing of a Frankenstein that would come back to bite its creator. But in this age of state-authorised insanity under the regime of a self-righteous chief minister who doubles up as head of a prominent Hindu spiritual seat, caution is meaningless as everything he does is believed be divinely ordained. Remember the manner in which the police had called the media to record a “live encounter” in which two youths, Mustaqueem and Naushad, were shot dead by the police at Harduagang of Aligarh on 20 September? They were accused of having criminal antecedents by the police to justify their execution in a shockingly extra-judicial manner. It is this brazen legitimisation of violence by the state that is reflected in the cockiness of Prashant Chaudhary. VP Singh was consumed by the Frankenstein when his brother was killed by dacoits near Banda and he had to step down as chief minister. But the culture of violence that gradually criminalised the state police outlasted him as reflected in the manner in which the state police was involved in mass-killings in Aligarh, Hashimpura, Maliana and Pilibhit — and got away with it. What is particularly baffling is the abject surrender to this culture by successive DGPs in the state whose instinct for survival got the better of their commitment to policing. Let me recount an instance to point out how the police itself became part of the underworld and gang wars. In 1991 there was a shoot out in Lucknow’s posh Hazratganj area in which a gangster, Virendra Singh, was killed by the police. But this story was a half-truth. The complete truth was that the gangster was attacked by his rivals from Gorakhpur owing allegiance to Harishankar Tiwari, an ex-minister and warlord of the region. Virendra Singh took shelter in a building to save himself from the killers when the police reached the spot and gunned him down. In effect, the police acted like a hired assassin of the Tiwari gang. Since the nineties, the state police have been reduced to playing second fiddle to gangsters across the state as most warlords acquired political legitimacy after being elected to either the state Assembly or Parliament. Nobody knows it better than Yogi Adityanath whose emergence in politics as popular face is attributed to his fierce fight against Harishankar Tiwari and his associates. That is perhaps why he is not averse to violence as a legitimate political tool to control organised crime.